Tow up to 19,780 lb (8,972 kg) Based on 2500/250 and 3500/350 class pickups. When properly equipped. Best-in-Class 410 Gas Horsepower Based on 2500/250 and 3500/350 class pickups. 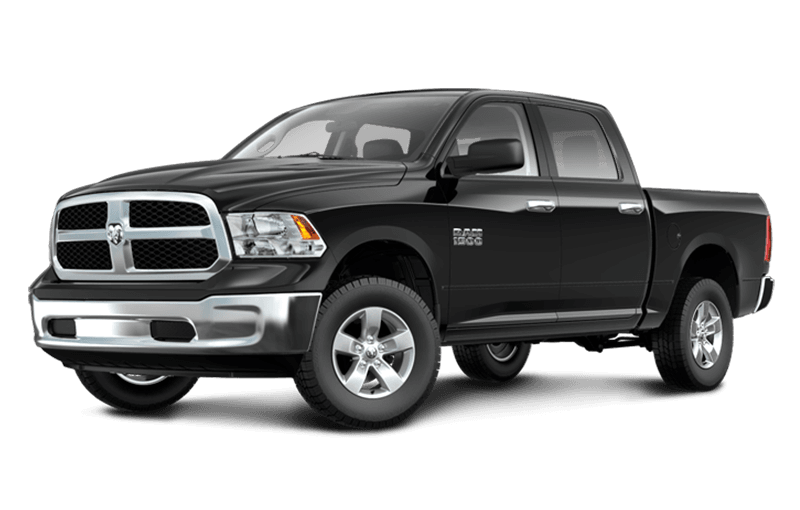 Best‑in‑Class 410 Gas Horsepower Based on 2500/250 and 3500/350 class pickups. 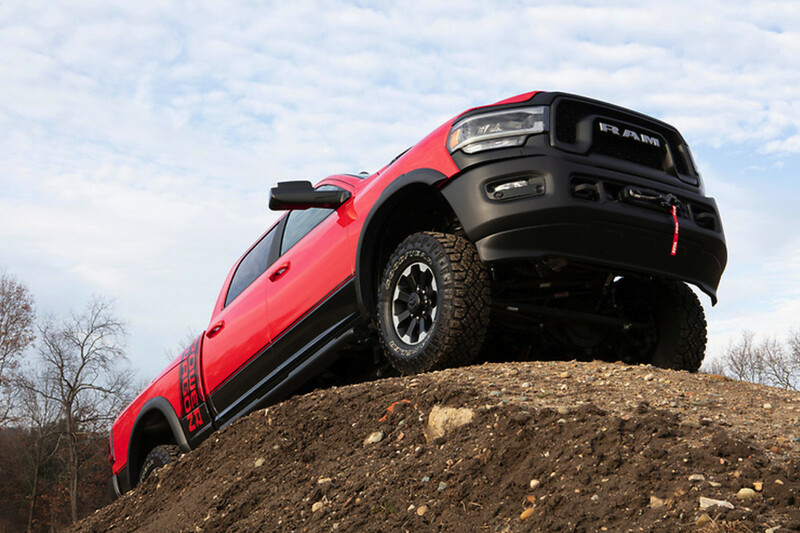 Carry up to 4,050 lb (1,837 kg) Based on 2500/250 and 3500/350 class pickups. When properly equipped. How Does The New 2500 Stack Up? The new 2019 Ram 2500 can tow up to 19,780 lb (8,972 kg) when properly equipped. Based on 2500/250 and 3500/350 class pickups. When properly equipped. That’s more than any competitor in the 2500 segment. Hitching your trailer is easier too, thanks to a dynamic centerline display with hookup assist and an available Class‑Exclusive Auto‑Level Rear Air Suspension. Based on 2500/250 and 3500/350 class pickups. 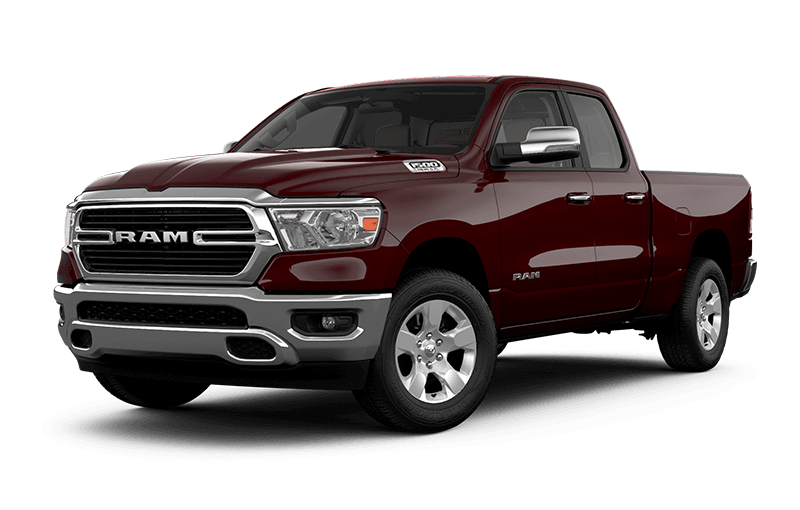 The new 2019 Ram 2500 offers 410 gas horsepower, the most standard horsepower in its segment, Based on 2500/250 and 3500/350 class pickups. 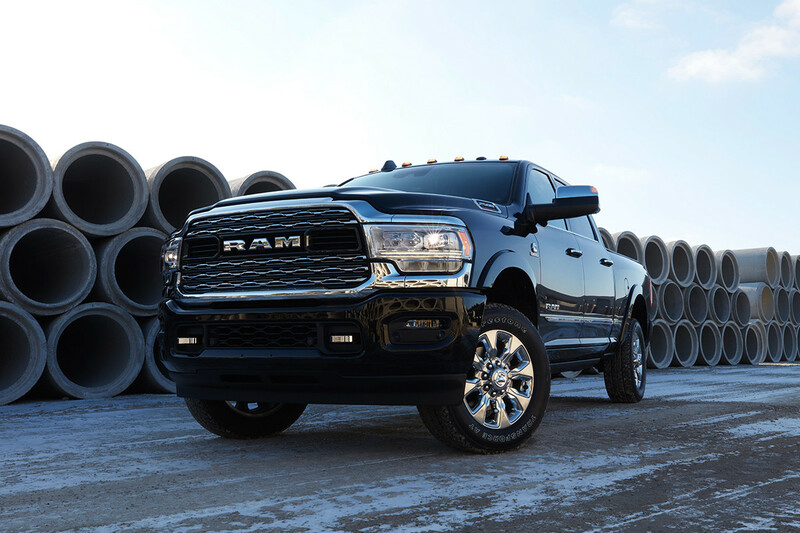 thanks to the legendary 6.4L HEMI® V8. 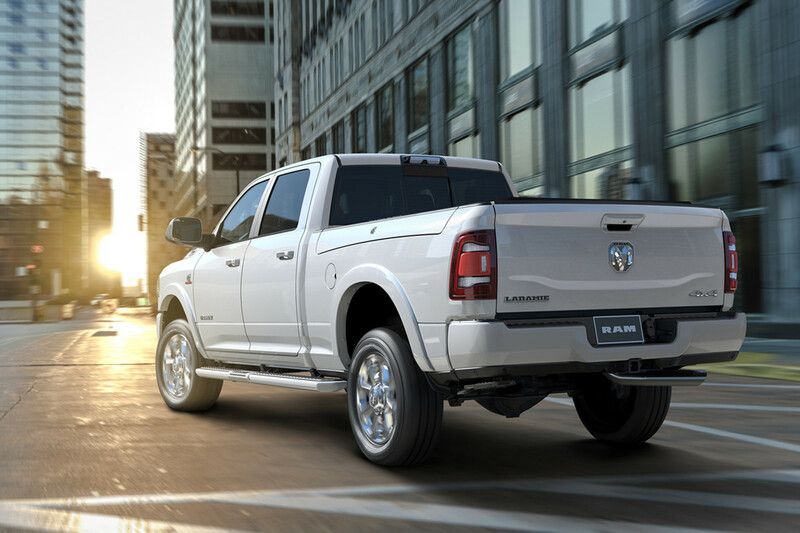 With a maximum payload of up to 4,050 lb (1,837 kg), Based on 2500/250 and 3500/350 class pickups. When properly equipped. 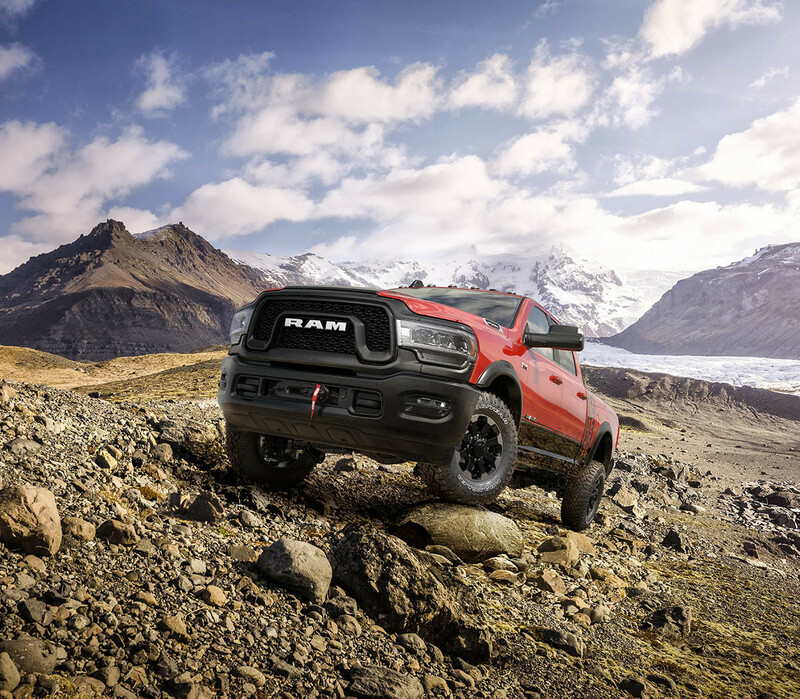 the new 2019 Ram 2500 gives you the power to haul almost anything you need. 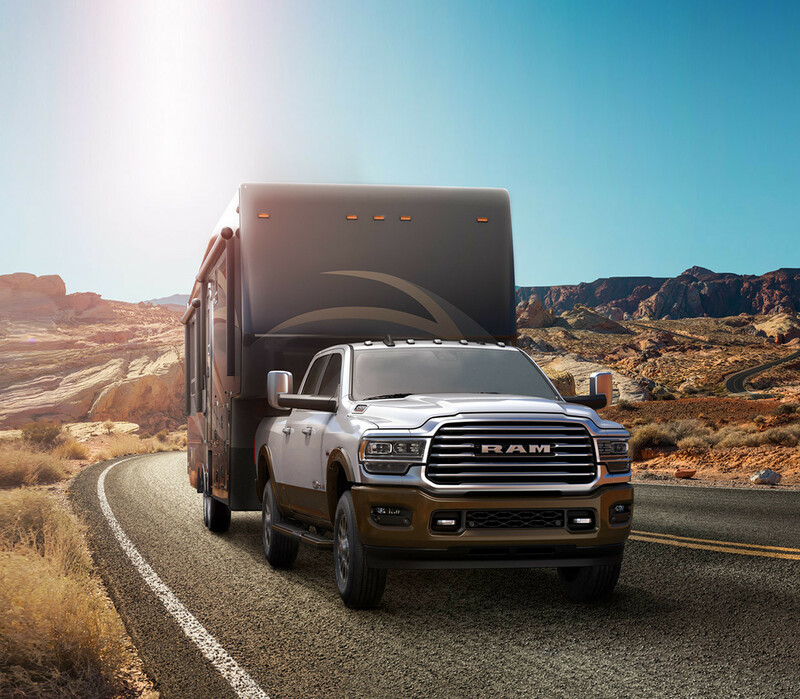 The new 2019 Ram 2500 has increased towing capacity thanks to the upgraded rear-axle structural crossmember with provisions for the available Fifth-Wheel/Gooseneck Prep Package. The package includes mounting hardware, a bed-mounted seven-pin connector, mounting holes and covers. 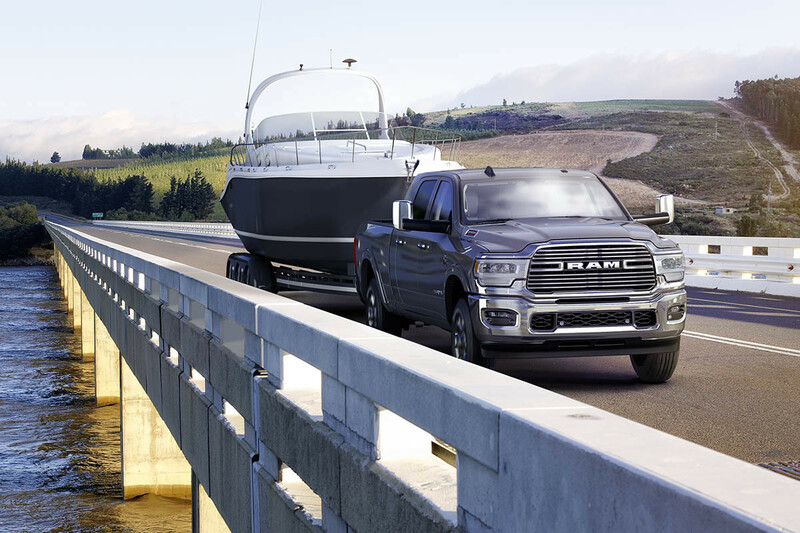 When installed, the 2019 Ram 2500 can achieve fifth-wheel diesel towing of up to 17,390 lb (7,888 kg). 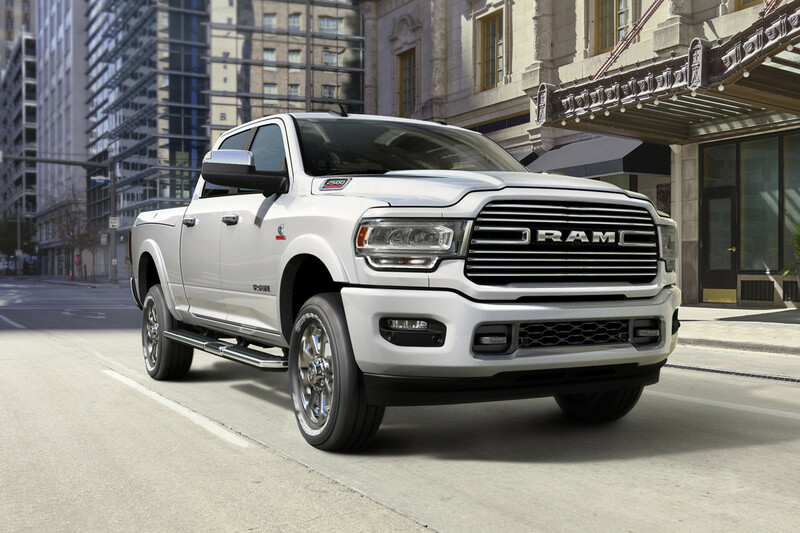 The new 2019 Ram 2500 with the available Fifth-Wheel/Gooseneck Prep Package can achieve gooseneck diesel towing of up to 19,780 lb (8,972 kg) when installed. The package includes all bolt plates, centre castings and connector pins. 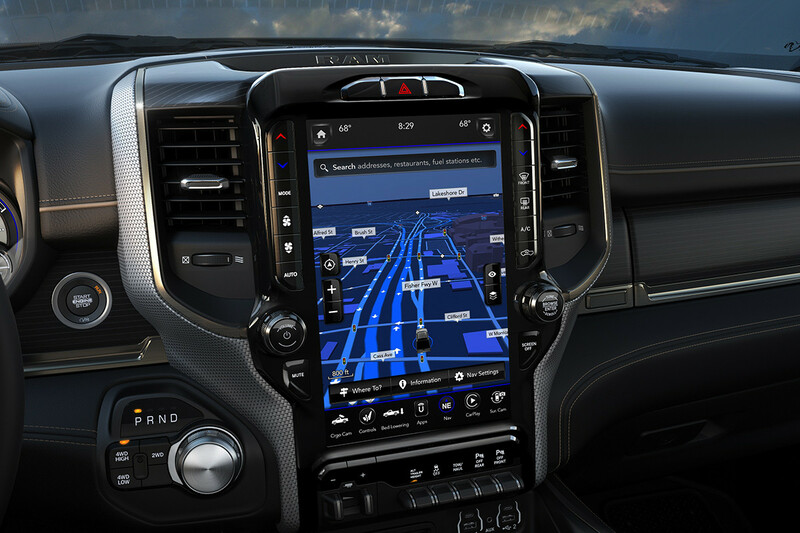 The available 12-inch touchscreen is the largest screen ever offered on a heavy‑duty truck. Based on 2500/250 and 3500/350 class pickups. 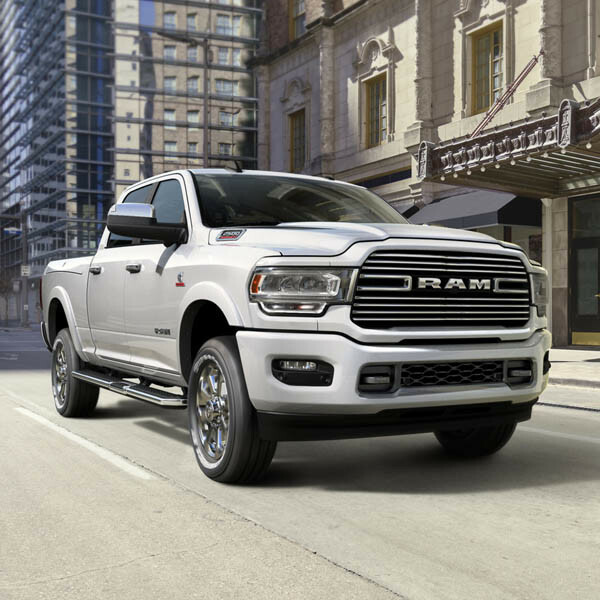 The award‑winning interior from the 2019 Ram 1500 – with 100% leather seating – is now available on the new 2019 Ram 2500 Limited and Laramie Longhorn® models. 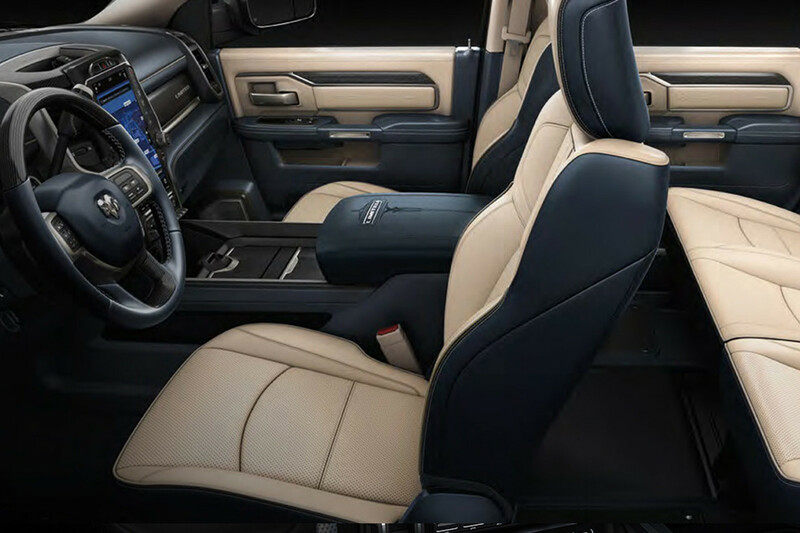 Featuring impressive interior volume with up to 43.3‑inch (1,100 mm) of legroom in Mega Cab® models, available Class‑Exclusive 100% leather seating Based on 2500/250 and 3500/350 class pickups. 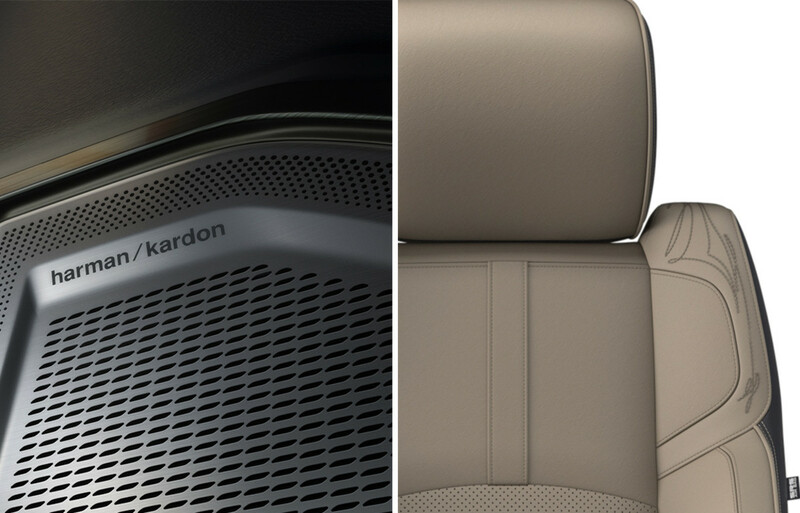 on Limited and Laramie Longhorn® models, and 17 available speakers, the most in its class. Based on 2500/250 and 3500/350 class pickups. 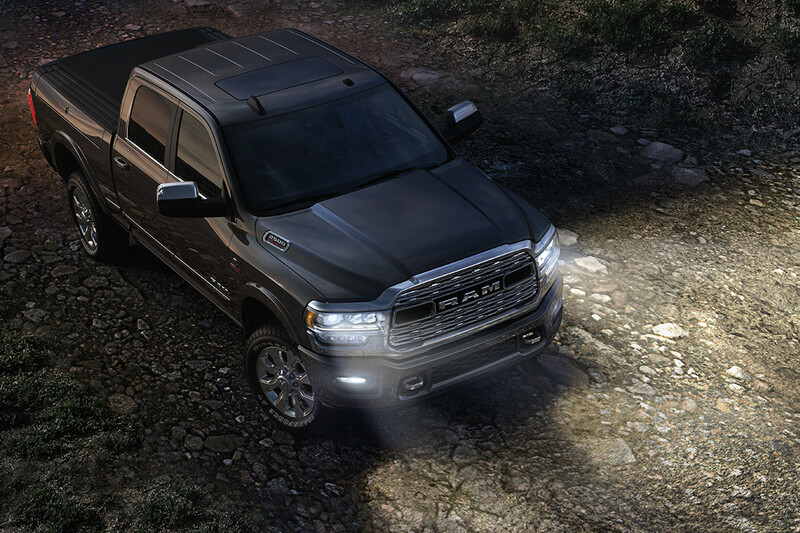 The new 2019 Ram 2500 offers available full‑LED headlamps and an available Class‑Exclusive Active Forward Lighting System, Based on 2500/250 and 3500/350 class pickups. which pivots up to 15 degrees as you turn the wheel. A bold new look and six prominent grille designs provide an unmistakable presence, on road and off. 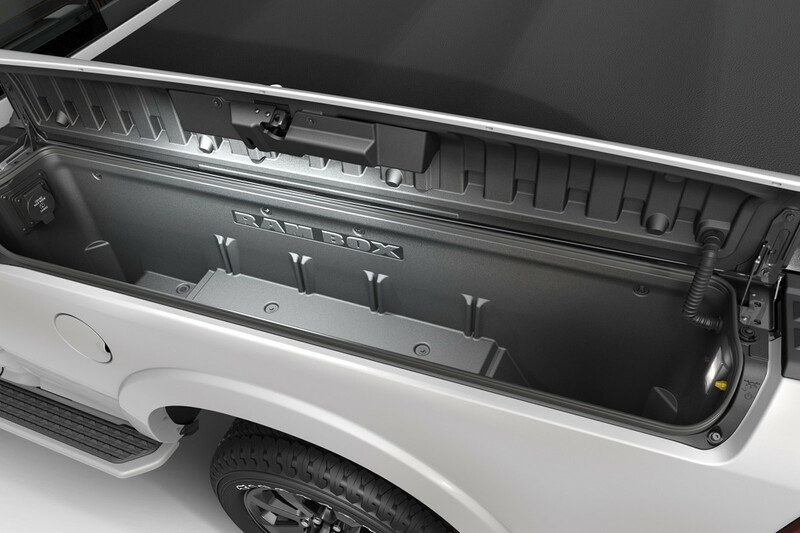 The available Class‑Exclusive RamBox® Cargo Management System, Based on 2500/250 and 3500/350 class pickups. now with a 115‑volt power outlet, offers plenty of space for all your cargo. 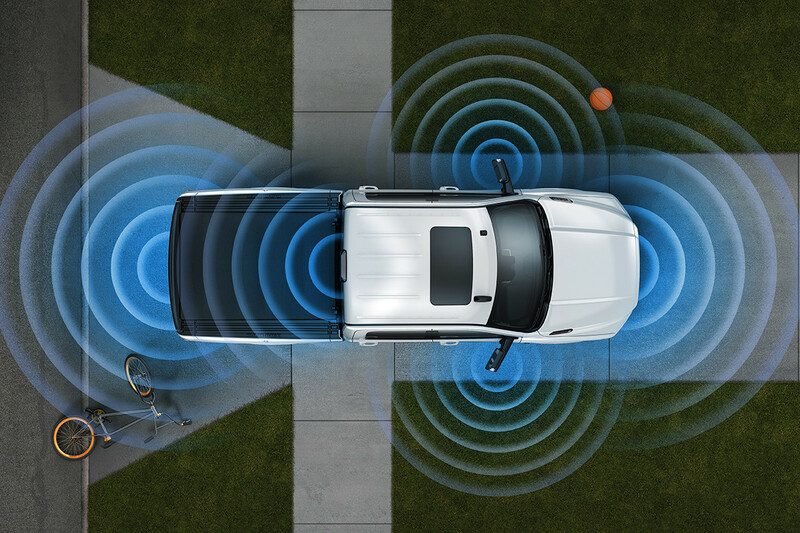 The new 2019 Ram 2500 with available Forward Collision Warning with Active Braking, is the only heavy-duty truck with the ability to help warn drivers when an accident is imminent and assist in coming to a complete stop, even when a trailer is attached. This is a driver convenience system, not a substitute for active driver involvement. The driver must remain aware of their surroundings and be prepared to take corrective action to avoid collisions. Ensure peace of mind with available features like Class‑Exclusive Adaptive Forward Lighting, Based on 2500/250 and 3500/350 class pickups. a 360° Surround View Camera This is a driver convenience system, not a substitute for active driver involvement. The driver must remain aware of their surroundings and be prepared to take corrective action to avoid collisions. and a wide variety of passive and active safety and security features.